It was time to spruce up the bottle cooler and now it POPS - hence the name. 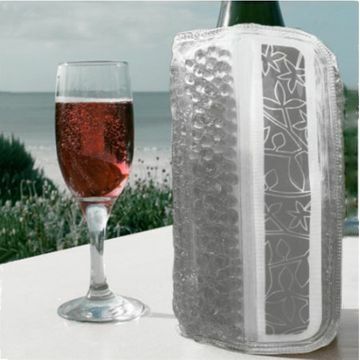 Always keep the Popsicooler Wine Bottle Cooler in the freezer, ready to use. Slide it over your bottle when you're ready for some cooling! The Velcro closure conveniently adjust to various size bottles.